Easy steps to happy celebrating. High Pressure Holidays: You’re a Nervous Wreck— Are Your Kids? They are coming! Oh, yes they are! The holidays! And we’re scared. Aren’t we? We’re freaking! Let’s admit it. Because the holidays mean one thing that strikes terror in every person’s heart: family! I know. I’m a clinical psychologist in Los Angeles and a father of three children ages 10, 7 and 3, who all think they’re teenagers. 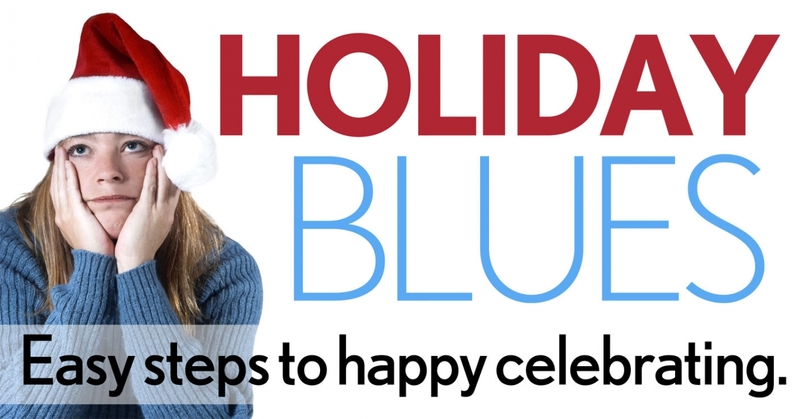 While the holidays bestow upon us a chance to celebrate our religious beliefs and come together as family, it is the coming together as a family that brings the holiday blues. But kids are spared, surely. After all, holidays are for the kids, right? Here’s what I see in my office. A 7 year old wants to know if the uncle she is visiting this holiday loves her. She will see him for the first time in many years at the family get-together, but he doesn’t call or send her cards or gifts on birthdays or holidays. She doesn’t know her uncle stopped talking to her father before she was born. An 8-year-old boy is having a panic attack. He says he can’t breathe. What he really can’t do is face the fact that he is spending the holiday with his father and his father’s new wife. A middle-schooler in a private school is stressed out because she can’t compete socially. Her family can barely afford the school, let alone ski trips to Switzerland with her friends. Meanwhile, a kindergartner has a knot in her stomach all the time because she hears her parents fighting about money. She feels guilty for wanting presents. You can help your children during the holidays. It’s simple. A tremendous amount of anticipatory anxiety precedes holiday family events for everyone. The more you are able to keep yourself calm, the better chance you have that your child will do the same. Children pick up anxiety from their parents like Scotch tape picks up lint. They learn by watching you— what to fear and who to fear. Should your emotions spill over, help your kids separate from them. Make it very clear that you are okay, your children do not need to protect you. Reassure them you love the family member you are arguing with, just like your children love their siblings even when they fight. All people who read this has a struggle going on in their lives right now with someone important to them. And no matter what trivial thing the struggle seems to be about, what it is really about is one thing: feelings. The ability of the people involved to handle the emotions is what will determine how successful they are at ending the struggle. If there is a normal family somewhere, please report it immediately so it can be preserved in a display case at the Smithsonian. Teach your children to be sympathetic to others, but not to feel what the other person feels. This is an emotional boundary. It helps them handle relationships in the family and feel comfortable doing so. This makes them less susceptible to the guilt trip Grandma is so good at, or the tantrum Uncle Ted may be prone to, or the sarcasm their teenage cousin jabs them with, or the rejection the older kids may give them when the grown-ups are out of earshot. For kids of divorced parents, holidays can be a nightmare— expected to be two places at the same time and always hurting one of their parents no matter what they do. The hostility and contempt between parents that led to the break-up all too often continues after divorce. It chews up the children as well as the parents. This holiday, make it easy on them by being understanding of the situation. Don’t make them feel like they are taking sides. Make charitable giving a part of your holiday. Personal contact is best. The more your child can identify with the person they are helping, the more powerful the experience. Helping and hugging the impoverished children, the homeless family and the hospitalized individual instantly gives your child one of the most valuable gifts any person can receive— perspective.